Fans of the game should appreciate this artbook although I feel that the designs did not really push the boundaries when it comes to sci-fi concept art. 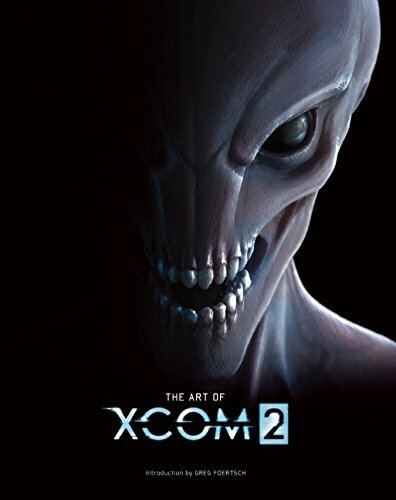 The 192-page hardcover is split into several chapters and covers the previsualization, environments, aliens, ADVENT and XCOM. In a world controlled by aliens, the new cities are now being designed with a rather sterile, clinical look, much to the vision of the aliens no doubt. Too much order, too clean. Luckily, there are still the shanty and small town environments to make things visually more interesting. It's quite a contrast when you compare the cities with abandoned towns with signs of life that have lived there. Design of the alien facilities look different too, and quite unexpectedly have more curves versus the blocky city style. Character designs of the aliens and enemies are nice, detailed and come with sketches too. The Advent also look cool, stylish and futuristic. There are also vehicle designs, spacecrafts, troop transport, cars, and other props, e.g. weapons and interior designs. Overall, the quality of the art is definitely top notch. However when it comes to the concepts, the ideas behind, I feel that the game studio is playing it too safe. The art feels so familiar, like I've seen them before. The art feels like they could come from Mass Effect. Yes, there are differences such as the ADVENT troopers and mechs being more sleek looking, but to me, the art direction quite similar to Mass Effect. That's just what I felt. So yeah, it's still a good artbook but it could have been better if the game studios are more daring which unfortunately is not the case as nowadays it's all about making safe games that can make money.